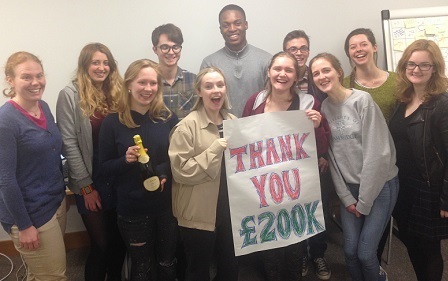 This year’s telephone fundraising campaign, which took place 4–18 April, ended with more than £200,000 pledged to the College over the next three years– a new record-breaking campaign for Fitzwilliam. The donations made by alumni will go towards supporting the Student Opportunities and Teaching Funds, helping Fitzwilliam to fulfill its goal of encouraging students from all backgrounds to apply to Cambridge, and assisting them financially when they are here. The Student Opportunities Fund is one of the College’s most important means of supporting our students. From maintenance bursaries and vacation rent rebates to awards for travel, research and charitable work, this versatile fund provides grants to students when and where needed. The Teaching Fund, established four years ago, supports the College’s teaching load, ensuring that our students continue to receive supervisions led by world-leading academics. Each year Fitzwilliam undergraduates benefit from a combined total of around 20,000 hours of small-group teaching delivered by more than 900 supervisors. 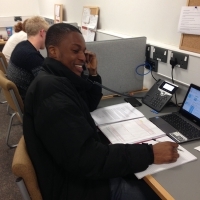 The telephone campaign’s organiser Hannah Ellis-Jones said: “The call team did a really professional job and we're extremely pleased with the outcome”. Thank you to all alumni for their generosity!